Red Wings is planning to start commercial operations of two Tupolev-214 aircraft at the end of July, the Russian carrier’s general director Yevgeniy Klyucharyov told Russian Aviation Insider. 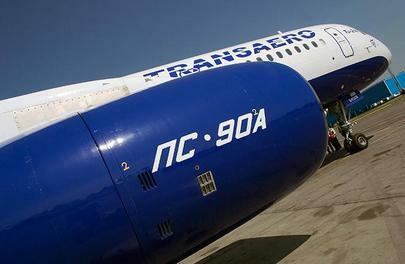 One of the two Russian-made narrow-bodies, tail number RA-64518, will be subleased from Transaero. Klyucharyov explained, that although Transaero ceased operations last year, the legal entity still exists and “that is the company we are dealing with”. The owner of the aircraft is Ilyushin Finance Company (IFC). The second aircraft, with tail number RA-64510, was previously operated by Dalavia, and is subleased from the aircraft’s OEM, Ulyanovsk-based Aviastar-TU company. The carrier, which operates the fleet of seven Tu-204s is currently completing the procedures for including its newly leased aircraft into to Air Operator Certificate (AOC). “Formally, Tu-214 is a different type, but knowing our expertise in operating the Tu-204s, the Federal Air Transport Agency is facilitating the process for us. I am counting on both aircraft to take off at the end of July,” Klyucharyov said. Red Wings is counting that the two more Tu-214s will remove the current capacity constraints and pave the way to network development, opening of new routes and increasing frequencies. Tupolev Tu-204, a twin-engine medium-haul aircraft with a seating capacity of 210 passengers, was initially designed as a replacement for Tu-154. The Tu-214 is essentially the same design, produced by a different OEM. Its main difference is increased MTOW and structural adjustments to support the weight. According to open sources, some 60 Tu-204s and its numerous modifications have been produced since the launch of production in 1989.